Redesigned - the pushrod holes are now 0.3" diameter, so you can drill them to fit your specific needs. 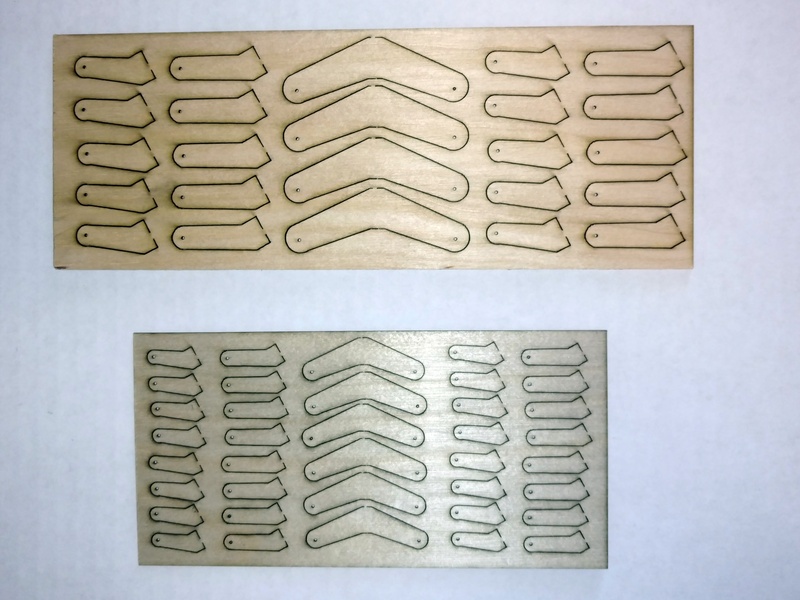 For those who would like to have control horns made from birch ply instead of buying plastic ones we offer these sheets of control horns. Large or small sizes depending on your needs. The large are suitable for planes in the 50"-70" range and small are suitable for 30"-50" range. The large sheet of horns is 4" x 8". The small sheet is 3" x 6".